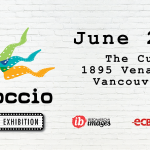 The Vancouver Latin American Cultural Centre, Ecuadorian Association of British Columbia and Iberoamerican Images, proudly presents EQUINOCCIO, Vancouver’s first Ecuadorian Film Exhibition. We are pleased to invite you to discover and explore the young and fast-growing Ecuadorian Cinema movement. Ecuadorian Cinema has evolved significantly in the last 15 years, hence our particular emphasis on productions from the past 18 years. Ecuadorian filmmakers have been extremely active producing work in a wide range of genres like: documentaries, history, fiction, thrillers, comedy, and more. With 4 carefully chosen films, we will share some of our history, reflect our culture and values and most importantly give visibility to Ecuadorian talent. We would like to take this opportunity to create a multicultural space with Vancouver’s local community and together, share an enriching experience. In an unidentified first world airport, all European Union travelers gain entry into the country unhindered, while Ecuadorian travelers are singled out and arrested at customs. They are then taken to a holding cell to await deportation where it becomes clear that everyone has something to hide. As there are no immediate return flights, the detainees quickly fill up the waiting room which soon becomes a ‘mini-nation’ reflecting a sense of Ecuadorian law and order. This documentary shows the context of the events surrounding May 24, 1981, when Ecuador’s first democratically elected president, Jaime Roldós died with his wife in a mysterious plane crash. The film examines his “two deaths”: the possible political-military conspiracy in response to his Human Rights defence policy of which he might have been a victim, and the manipulation of his image by a populist party created by members of his own family. ​Described as a “punk ballad,” this film consists of a series of non-linear, interconnected stories of middle class youth in the city of Guayaquil. Confronting difficult themes of love, death, ideology, and addiction, these disparate stories are ultimately connected by deeper themes that unite them. As the film progresses, it becomes clear the common thread of these non-linear stories is social oppression and alienation.